ACI marina Supetarska Draga lies in the Bay of Supetarska Draga. Berth: The marina has 270 berths and 50 boat places on land. Berths have water and power supply. Reception, exchange office, restaurant, toilets and showers, grocery store, repair shop, 10 t crane, slipway, parking lot. The nearest gas station is in ACI marina Rab (11 Nm). Of the three bays on the southwestern part of the island of Rab, Supetarska Draga lies in the central one. 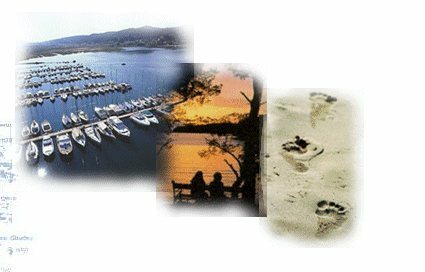 Because of its long sheltered bay, as well as a lovely beach near the village, Supetarska Draga is an attractive anchorage for a large number of boaters. In the surroundings is the church of St. Peter - a three-nave basilica from the second half of the 9th c. which is one of the most valuable preserved early Romanesque monuments in the Kvarner. Owing to its lush vegetation, charming landscape, fertile fields, winter ranges and nesting places of various bird species, Supetarska Draga is an ideal destination for those in search of a peaceful vacation.